With the “unanimous” approval of both boards, Google has agreed to hand over $40 per share to acquire Motorola Mobility–the spun-off phone-making wing of the original Motorola, separate from its government and enterprise business. The price is a big premium on Motorola’s last closing share price, and amounts to some $12.5 billion. That’s about a third of Google’s cash reserves, as per the most recent figures, which demonstrates exactly how gigantic a move this is. But exactly why is Google pulling this trick off? The most obvious interpretation of the deal is that Motorola is already an internationally renowned expert in something Google is painfully naive about: manufacturing hardware in massive numbers. Motorola brought the world many of its important mobile phones over the last several decades, and the famous Razr device was so unusual and radical in design that it sold over 130 million units. While Motorola’s fortunes then took a dive, it took a bold move and launched itself into the Android smartphone market–making the Droid line of smartphones that saw broad market approval. Now Google gets access to Motorola’s design and engineering process, and this will allow it to carefully tailor both future smartphone hardware and its own Android OS software together. Don’t mistake this for another Nexus One, which came from external manufacturers. Making phones in-house means a Google Droid phone will likely have better battery life, slicker performance, greater reliability, and fewer bugs, which is exactly what Google needs to rival Apple, with its iron-fist control over seamless integration of software into custom-crafted hardware. And because Motorola is already so huge, and long-established, it has extensive and very strong links to manufacturing partners around the world. Those relationships are now owned by Google, which means it can hone and refine them to meet future Android phone (and tablet?) needs. Google is in the hardware business. 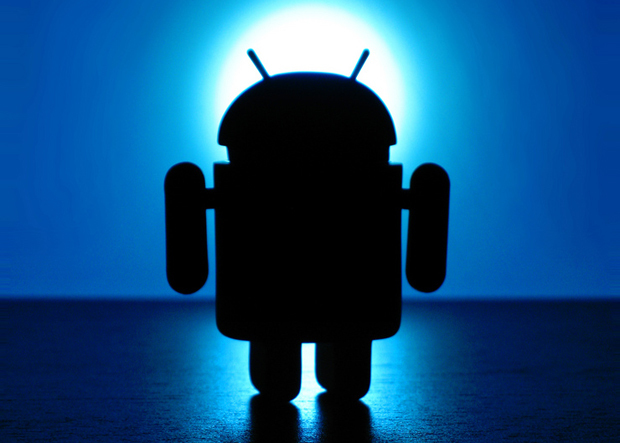 We recently explained how companies including Microsoft and Apple are banding together in anti-competitive patent attacks on Android. The U.S. Department of Justice had to intervene in the results of one recent patent auction to “protect competition and innovation in the open source software community” and it is currently looking into the results of the Nortel auction. Our acquisition of Motorola will increase competition by strengthening Google’s patent portfolio, which will enable us to better protect Android from anti-competitive threats from Microsoft, Apple and other companies. This transaction, as much as it is about getting some really, really slick Android hardware out on sale, is also about protecting Android from IP battles. The ongoing and devisive legal battles around the world concerning theft of Apple IP by Samsung (on its Android-powered smartphones and tablets) and other Android device makers are numerous and complex: Apple even succeeded in barring sales of Samsung’s flagship Android tablet PC the Galaxy Tab 10.1 in Europe, on the understanding that the design, elements of the UI and even the packaging are clones of Apple’s own efforts. It’s widely thought that Apple sees these numerous suits as a way of indirectly tackling the way Android gently emulates some of iOS’s functionality. Android also closely mimics Microsoft IP, and in a similar move to Apple, Microsoft has been indirectly snipping away at the problem by targeting different Android device makers–generating more income in licensing fees than its own Windows-powered smartphone business makes. Motorola itself had very recently hinted it may attempt collecting royalties on Android sales, which would further damage the device’s credibility (by potentially bumping up the handset’s prices across the board). With the recent billion-dollar purchase of Nortel’s extensive patent cache, many of which may be applicable to the smartphone and tablet computing world, Apple and a group of similar companies sparked off a war of words, centered on IP, with Google. Google alleges the deal is a murky attempt at killing its business, but its own bids–which were multiples of scientific numbers like Pi–didn’t seem serious. By grabbing Motorola, Google’s certainly gained access to more patents to shore up its Android patent portfolio and thus enable it to counter (and respond with counter suits) any future IP threats. Google is sensitive that other makers like HTC and Samsung will be very nervous about the new deal, so its promising that Android will remain as it is–a very accessible and “open” platform for other makers to build great devices upon. But does this actually ring true? If Motorola’s future Android phones acutally do benefit from enhanced hardware-software integration, then they may out-class the competition (particularly if Motorola helps with Google’s sometimes sticky interpretation of the core Android user interface) … and that could steal market share from Google’s own partners. It’s going to be a tricky path to walk. Competitor smartphone platforms will be worried, for sure. Android was already a hugely powerful competitor and has snipped up over half the new touchscreen smartphone market (and about 20% of the tablet market), leaving little space for Palm or Microsoft. Microsoft has big hopes for the future of its Windows Phone 7 software, particularly thanks to its hardware-software partnership with Nokia, and HP has great hopes for the future of its Pre phones and TouchPad tablets which are the result of a software-hardware synergy created when it bought Palm. Google, however, may have seriously dented these ambitions. By buying Motorola, it’s positioned itself to concrete its hold over the smartphone game, and possibly deliver even better hardware to market. Apple’s iPhone platform isn’t going anywhere either, and it’s even predicting bigger sales of its future iPhone offerings than had originally been predicted for 2011. Between these two giants, HP/Palm, Nokia/Microsoft and others may see little space to maneuver. Update: Google just completed a webcast press interview about the news, and kept very closely to the lines that’ve been presented in both the press release and the company’s own blog post. It’s all about bringing Motorola’s expertise into the fold, Motorola will remain as a separate company, and Google values its other Android partners. In fact, the company spoke to the top five licensees, and secured “enthusiastic support,” by which we can assume Google allayed their fears. One way they may be planning to do this is by having a bidding program for the flagship Nexus line of Google-branded Android phones, which is still open to other companies (as well as Motorola)–HTC and Samsung have been previous partners here. There’s also an intriguing hint about Motorola’s “IP set-top boxes,” or Net TV devices. Google has so far failed to dent this market, despite trying hard, but sees “great convergence” between mobile and set-top box content, and plans to “accelerate” this process. A big hint that Google may try a different, Apple TV-style attempt to get into the game.